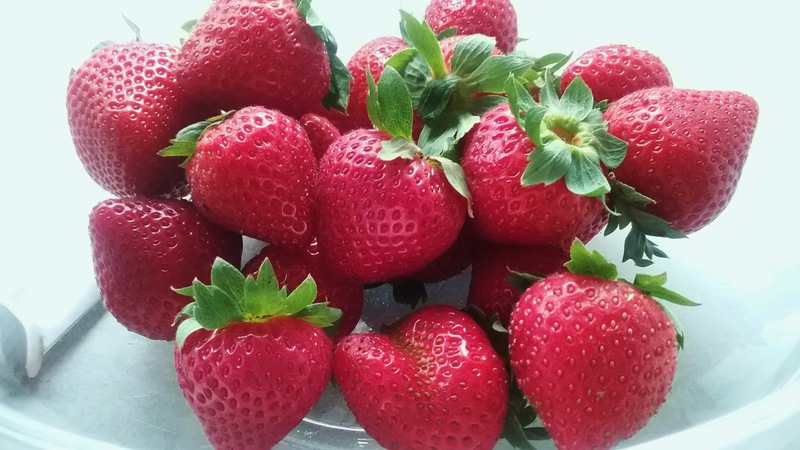 When I spotted fresh strawberries at the market recently, I had a hunch the glory of this season’s berry days is just about behind us, so I grabbed some. While out, I also tracked down powdered pectin. Now, I was ready to tackle my first batch of strawberry jam. I’m back living it up in another tiny space, playing with my appliances and challenging their capabilities, rather than relying solely on a stove top and oven. Since this would be a small batch, I opted to give the microwave a try. First, I did a bit more research on the pectin issue. Much of the information I had on hand was either confusing or did not apply; some was philosophical: making preserves is all trial and error and you will learn by doing. 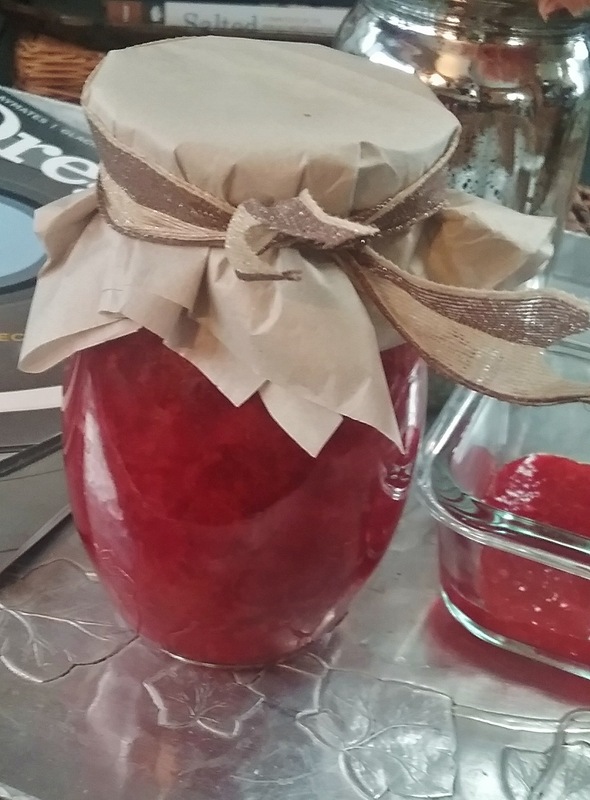 Odd, after 100’s of years of making strawberry preserves, we are still at that stage. What made sense: the fruit’s pectin plus the available acid will balance each other in a time driven equation resulting in thickened preserves. How much you need, and how long you cook it, is pretty much shades of gray. Of course, there was also the microwave issue: how would that affect all of this? Whatever. I gathered up my collection of recipes and my ingredients and I simply began. I had my strawberries. Since they are low on pectin, I would add a little pectin for good measure. I had sugar, and I would also include a little lemon juice to help with the acid issue. I used a wide glass microwaveable mixing bowl, approximately 2 quart in size. 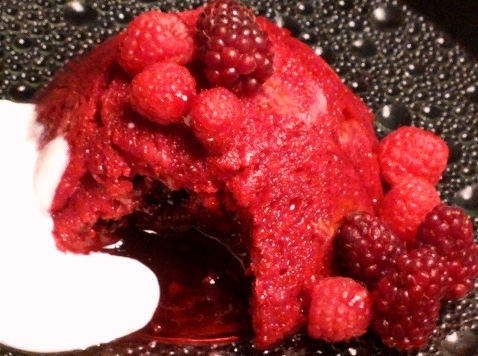 I read that mixing the pectin with the berries and cooking them together first would help the pectin setting process. Once that came to a boil, I added the sugar and lemon juice. 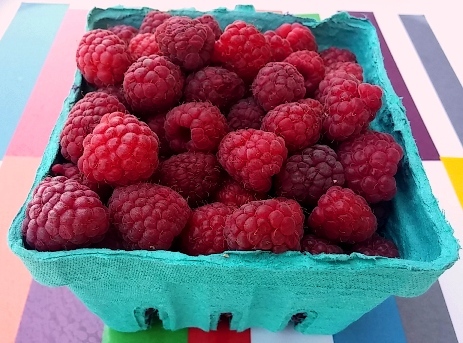 Quantities here seem negotiable, but my berries were surprisingly sweet—an important factor in this balancing act. Some recipes opt for huge amounts of sugar, and that interested me not; I settled on 2/3 of a cup. On the lemon juice: I decided lemon is good, so went with 3 teaspoons worth. If my berries were bland or sour, I’d would back off on the lemon juice to 2 teaspoons. Finally, in small batch strawberry preserves, many recipes agree that in the final stage, 5 minutes is a realistic duration—more or less. This will also depend on the wattage of the microwave, mine is mid-range, and not super-powerful. 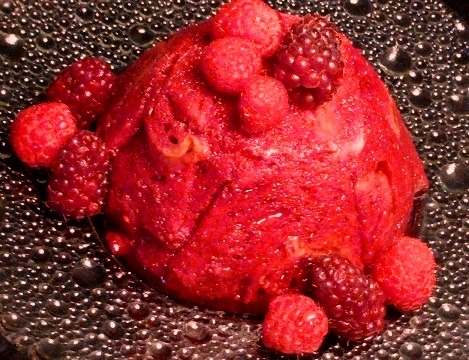 Most important, the berry mixture must fully boil for 1 minute. In Review: My little unofficial science project worked out just fine. The preserves set up very well, and were plenty sweet. Mostly though, I was surprised by the pure strawberry freshness and fruitiness that is revealed. In the end, that is what matters. 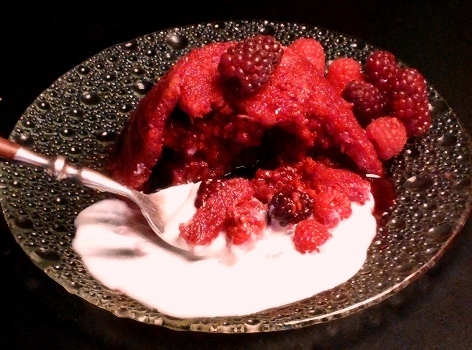 In a large microwaveable bowl, combine berries with pectin and mash berries leaving some shape. Microwave uncovered on high about 4 minutes, until it comes to a boil. Stir in the sugar and lemon juice. Microwave uncovered about 5 minutes. Check every 2 minutes and stir well. When it reaches a full boil, boil 1 minute, until slightly thickened. Cool and store covered in refrigerator, will hold 2 weeks or longer. Makes 2 generous cups.